and a look into my heritage. The last time I came through TorC I did not have time to hang out and get the feel of this quirky little town that my grandmother called home for awhile. Still toadless I found a campground half way between downtown and the cemetary where my grandmother and older baby brother are buried. Mountain Creek is being updated by it’s owner and his plans are going to make this a great park. They also own the Laundramat and UPS store next door across the street is a convience store and propane next door. On the way to Blanca, Co. back roads, of course, I came across the memorial to the Texas Cattle Drives on RT. 71 plenty of room to pull off and rest. I stopped off in Limon at the KOA to do laundry and dump and fill and then on down to LaJunta KOA which is right next to a Walmart Supercenter to stock up on groceries. I know what to expect at KOA when I need to get things done. The drive from Lajunta to Walsenburg on Rt.10 is scenic, mostly ranch land. Lathrop State Park on Hwy160 just outside Walsenburg is a great place to stop. E/W hookups and great views. The mountain pass on Rt.160 is a gradual rise and descent and Matilda, I finally decided on a name for my bounder, had no problems at all. The Blanca RV Park wound up being my home for a month and I enjoyed every day in this charming little town. My view out my front window was Mt.Blanca. Be sure to put Blanca RV Park on your list if in the area. Full hookups are $30 a night also weekly and monthly rates available. Great WIFI and helpful managers. The owner is hands-on and is working on an expansion of 50/30 amp sites. Convenience store, propane and gas on site. Noisy during the day from Rt160 and a railroad track in the back but quiet at night. From Bandera, I had to stop in Robert Lee (where my late husband and I bought a small ranch in the middle of nowhere) to take care of some business. If you are ever passing through from Abilene to San Angelo take a drive down route 158 from US HWY 277 to US HWY 87 and enjoy the view. Then on to Post and the Post View RV Park which is an older park but still has good full hookups. Post is the Garza county seat and was established by CW Post the cereal guy in 1907. Neat Museum and Old Mill Trade Days https://www.oldmilltradedays.com/on the second weekend of the month from March – December. I have done this market with merchandise and with food and it is always a good market with lots of variety. One night in Amarillo and then out of Texas. I love the plains so I always go straight up from Amarillo on US Hwy 87 to 287 to 385. Just make sure everything is secured it’s rough going through OK.
And I like to stay outside Lamar at Sportsmans RV Park and Horse Motel http://www.rvandhorses.com, another older park with reasonable rates and good hookups. Leaving Lamar heading to Denver I had to stop twice because of wind, remember to slow down or pull over on the plains the winds are vicious. 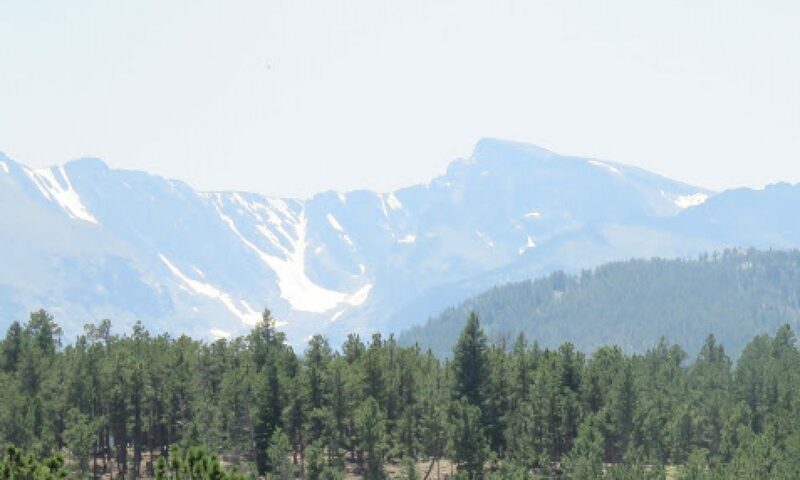 Denver is busy and in the summer it is hard to find a space without far in advance reservations, I was lucky enough to secure 2 nights at Prospect RV Park http://www.prospectrv.com . Right off I-70 and fairly close where my sister lives. She took me on a road tour of Lookout Mountain and Central City and on to lunch in Nederland. My sister takes photography seriously and is very good at it.